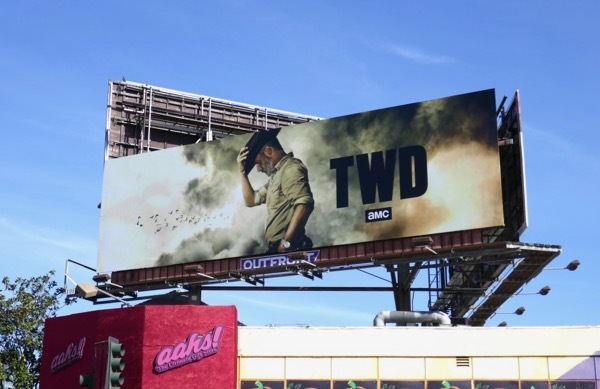 Following an all out war with 'Negan' and his Saviors last season, The Walking Dead is back for a ninth season of rebuilding communities, relationships and civilisation in the post-zombie apocalypse. 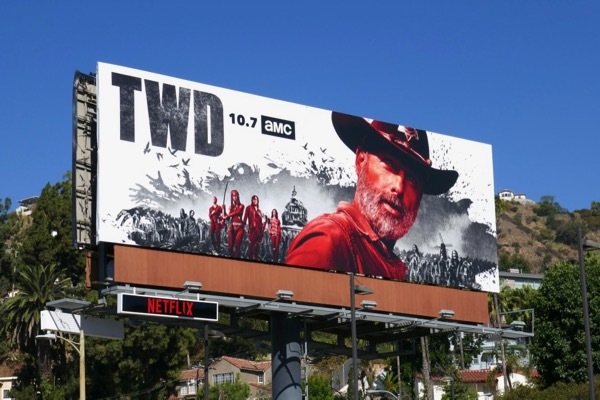 It's been highly publicised that Andrew Lincoln's 'Rick Grimes' would be departing in some fashion this season and so it's fitting that he's front and centre in the season nine key art, although let's hope the red doesn't signify too bloody an end for TWD's former sheriff's deputy. 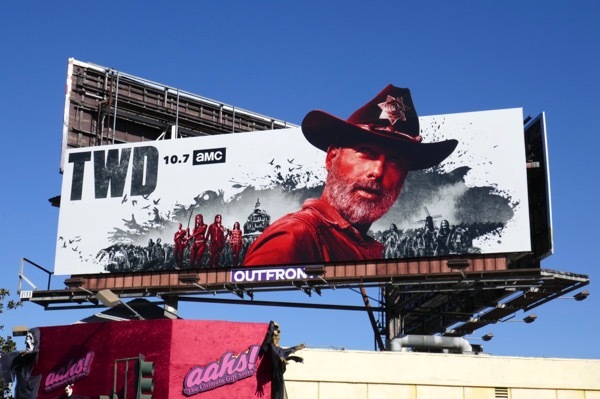 In fact Rick Grimes has been the star of both the long-running hit series and the black-and-white comic books by Robert Kirkman, Tony Moore and Charlie Adlard, so it'll be interesting to see how the television adaptation will movie on without him. 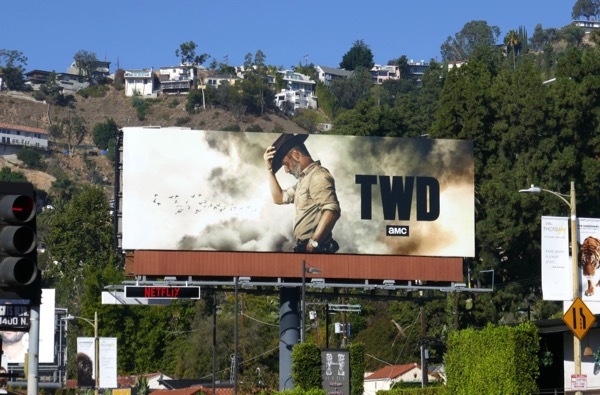 Saying that, other key characters have deviated from the comic book source material and more have been introduced and developed to great acclaim including 'Daryl Dixon' (Norman Reedus), 'Michonne' (Danai Gurira), 'Carol' (Melissa McBride) and 'Maggie' (Lauren Cohan), with the latter also set to depart the series this season to film ABC's new show Whiskey Cavalier. 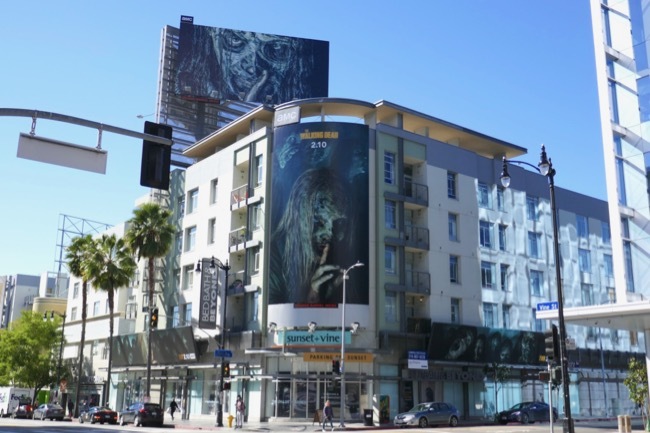 These striking season nine billboards were captured along Sunset Boulevard and Fairfax Avenue from September 15 to September 21, 2018. 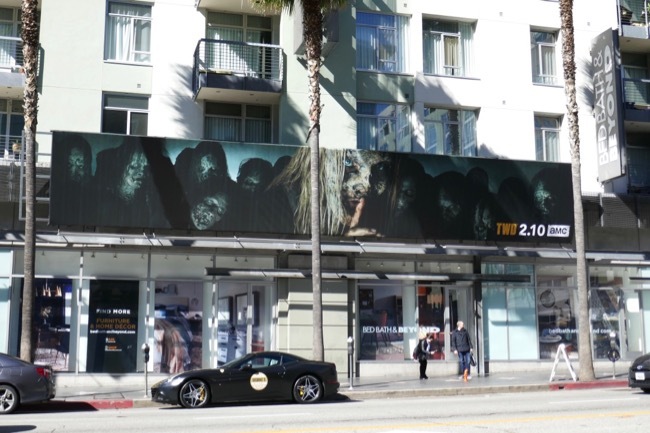 Fans of the show can also enjoy all these previous season promo billboards for The Walking Dead and these billboards for Fear the Walking Dead. 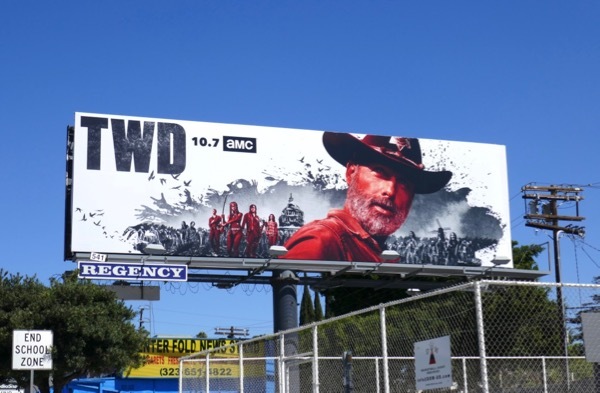 Rick has come a long way since he awoke from his coma in the very first episode and found the world overrun by zombies. He's lost a lot of people along the way, his wife, his friends, his son. 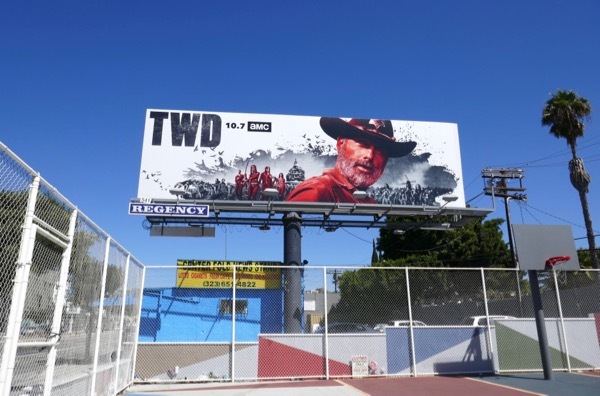 Just how long do you think he'll be able to survive this season and what does fate have in store for him? You'll just have to watch and see. 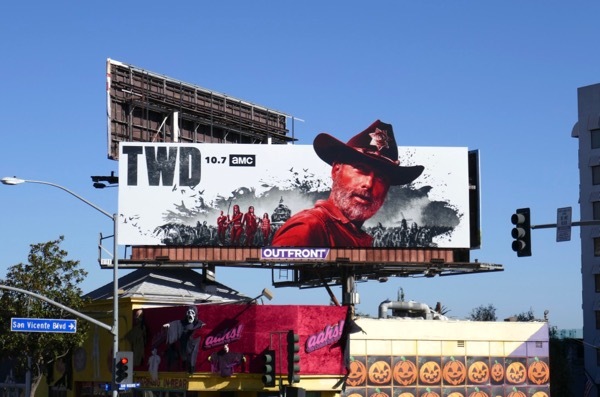 UPDATED: The end is nigh for Rick Grimes and to mark his final episode these farewell billboards were spied along the Sunset Strip on October 31, 2018. 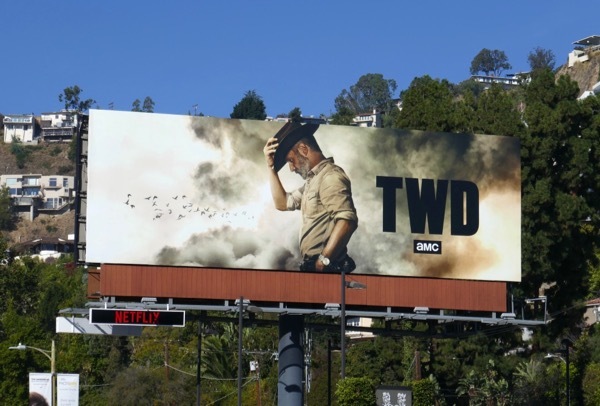 Everything he's done seems to be coming apart in the first half of the ninth season, so let's hope his legacy and inspiration can survive, even if he doesn't. 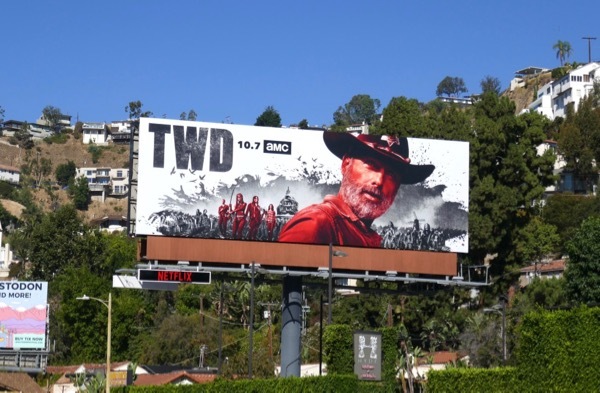 He'll soon be reunited with his son Carl, but let's hope his death has some meaning, worthy of his time making TWD the ratings juggernaut it has become over these nine seasons. 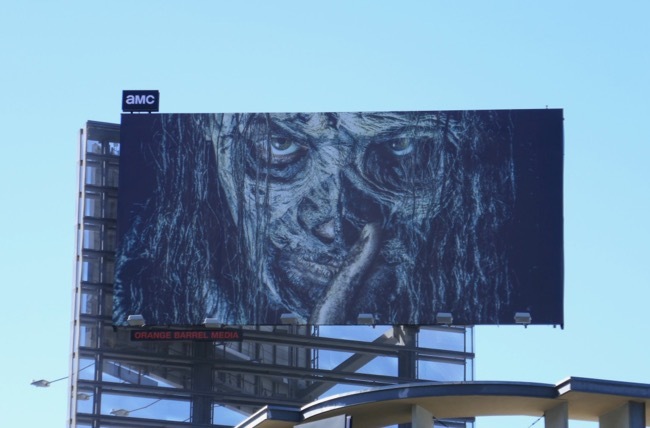 UPDATED: Now that Rick Grimes has departed the main series and time has moved on for the residents of Alexandria, Hilltop and The Kingdom, they face an all-new threat in the form of the skin-wearing 'Whisperers' who camouflage themselves amongst the Walkers. 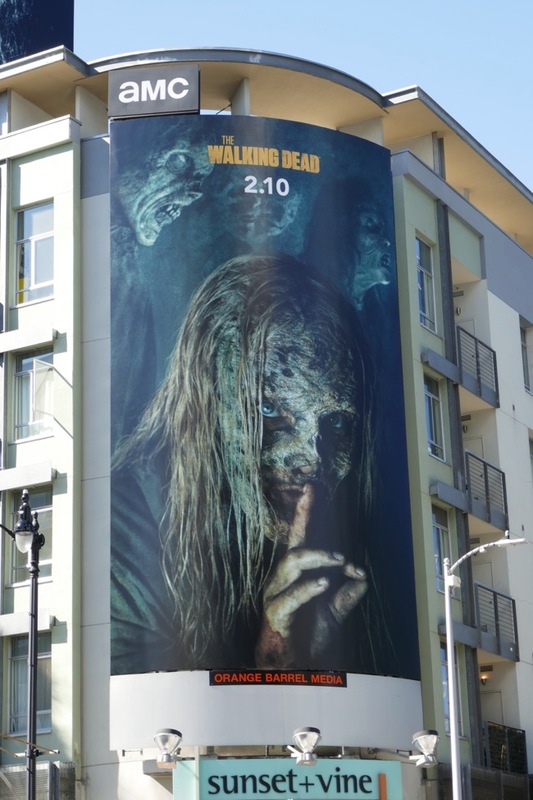 Samantha Morton plays their leader 'Alpha' and the group has already claimed their first victim with he death of Tom Payne's 'Jesus' and we're sure more will follow. 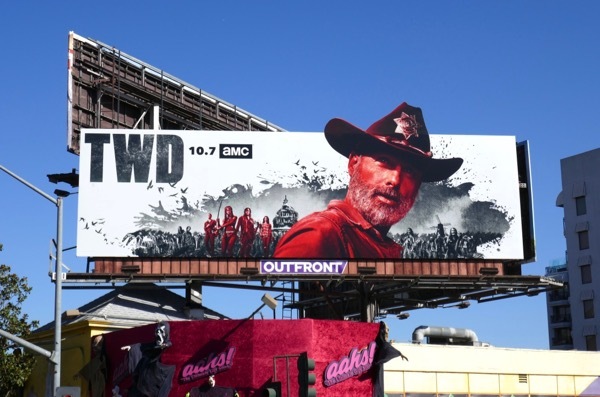 These season nine part two billboards were photographed at Hollywood's Sunset & Vine on February 22, 2019.